Snow Child is generously sponsored by Andrew R. Ammerman and and the National Endowment for the Arts' Art Works and is the recipient of an Edgerton Foundation New Play Award. Eowyn Ivey’s debut novel The Snow Child, a finalist for the Pulitzer Prize, is reborn as a magical new musical featuring a score that combines Alaskan string-band traditions and contemporary musical theater. The 1920 Alaskan wilderness is a brutal place to try to save a marriage. Reeling from the loss of an unborn child, Mabel and Jack struggle to rebuild their lives even as the fissures between them continue to widen. But everything changes suddenly when they are visited by a wild, mysterious girl who embodies the dark woods that surround their cabin. In this beautiful and violent land, things are rarely as they appear, and what the snow child teaches them will ultimately transform them all. returns to Arena Stage after appearing as the Fiddler in Fiddler on the Roof. D.C-area credits include Everything Is Illuminated (Theater J, East Coast premiere); Secret Garden (Shakespeare Theatre Company); 110 in the Shade(Ford’s Theatre); The Diary of Anne Frank and Complete Works of Shakespeare [abridged] (Olney Theatre Center); Cerulean Time Capsule (Kennedy Center Theatre for Young Audiences); Avenue Q(Constellation Theatre Company); Lyle the Crocodile(Imagination Stage); and others. Regional credits include Secret Garden (TUTS Houston). TV credits include Difficult People (with Victor Garber), Bride Killa and I Was Possessed. Alex received a B.M. from Catholic University. www.alexalferov.com. Instagram: @alfalferov. is pleased to be back at Arena Stage with Molly Smith and company, having previously performed Val in Orpheus Descending, Lancelot in Camelot(Helen Hayes nomination) and Joe in Damn Yankees. Also in D.C., Side Show and 110 in the Shade (Signature Theatre) and Paul in Company (Kennedy Center’s Sondheim Celebration). On Broadway, Matt starred in Jersey Boys, Aida, Miss Saigon, The Civil War and Smokey Joe’s Café (also filmed for TV/film). National tour credits include Camelot and Off-Broadway credits include Himself and Nora. He has performed across the US in venues including Lincoln Center, Kennedy Center and Carnegie Hall. TV credits include Robert Goulet in Vinyl, JFK in Smash and Law & Order: SVU. B.F.A. from Cincinnati Conservatory of Music. Recordings on iTunes and www.MattBogart.com. Love to his wife, Jessica, and boys. is honored to be making his Arena Stage debut with Snow Child. He was last seen at Signature Theatre, rocking out with Jesus Christ Superstar in all his bearded glory. Some of his favorite roles include Sparky in Forever Plaid and a Bad Idea Bear in Avenue Q (Olney Theatre Center). Other favorites are Nate in Big Nate (Adventure Theatre tour) and LeFou in Beauty and the Beast (Imagination Stage). He is the proud recipient of the 2017 Helen Hayes Award for Outstanding Supporting Actor in a Musical for his portrayal of Gabe in Next to Normal at Keegan Theatre. He wants to thank his family because he loves them. Remember: don’t joke on the ice, it might just crack up. is thrilled to make his Arena Stage debut. D.C.-area productions include I’ll Get You Back Again and Camille (Round House); Silver Belles, Road Show, The Fix, Beaches and Best Little Whorehouse in Texas (Signature Theatre); Ragtime and Golden Age (Kennedy Center); Rosencrantz and Guildenstern Are Dead(Studio Theatre); 1776 and Big River (Ford’s Theatre); Midsummer Night’s Dream(Maryland Stage Company); and A Lie of the Mind and A Shayna Maidel (Rep Stage). Dan appeared on Broadway in the 2009 revival of Ragtime, Off-Broadway in the original cast of Smoke on the Mountain and regionally at Center Stage, Court Theatre and Sacramento Music Theatre in California. Film credits include Gods and Generals, State of Play, Renaissance Man and Pretty Molly and TV credits include Veep, House of Cards, The Wire, West Wing and X-Files. makes his Arena Stage debut. D.C.-area credits include Jesus Christ Superstar (Signature Theatre); Godspell and Carmen(Olney Theatre Center); A Christmas Carol (Ford’s Theatre); Shrek the Musical and In the Heights (Toby’s Dinner); Miss Nelson is Missing, The Snowy Day, BIG and Mirandy and Brother Wind (Adventure Theatre); A Raisin in the Sun (Everyman Theatre); and Peter and the Wolf, Looking for Roberto Clemente, When She Had Wings and The Freshest Snow Whyte (Imagination Stage). makes her Arena Stage debut. A native New Yorker, Fina made her Broadway debut as the youngest to perform the title role in Matilda the Musical. She was chosen by Mariah Carey to star in Hallmark Channel’s A Christmas Melody, where she performed the hit Oh Santa. Off-Broadway/theater/workshop credits include Animal(Atlantic); A Loss of Roses (St Clements Theater); Diana (Powerhouse Theater); Anastasia; Summer and Smoke (Classic Stage); Alice Bliss (Playwrights Horizon). TV credits include Last Week Tonight with John Oliver; The Thing About Babies(Nickelodeon); Thanksgiving Day Parade; Mariah’s Merriest Christmas. Film credits include A Little Game, Early Learnings, Fracktured and major roles in feature films, Callahan, Tribe and Shadow Girl, scheduled for 2018 release. To John Mara Jr, Rachel Altman and Ellen Gilbert at Paradigm, and her increasingly flexible and supportive family, Fina is preternaturally "GRATEFUL!" Arena Stage commissions include Snow Child, The Originalist, The Miser, Lovers and Executioners (MacArthur Award) and Tom Walker. Recent works include the book and lyrics for Hat! A Vaudeville (South Coast Repertory); Lincolnesque (Old Globe); and Lorenzaccio (Shakespeare Theatre Company), and the book for the musical The Highest Yellow (Signature Theatre). Additional plays are The Diaries (Signature Theatre, MacArthur nomination); Otabenga (Signature Theatre, MacArthur nomination); Three Nights in Tehran (Signature Theatre); and The Cockburn Rituals (Woolly Mammoth). Strand spent 10 years in Paris, where he worked as a journalist and drama critic, and directed NYU’s Experimental Theater Wing in Paris. His novel Commieland was published by Kiwai Media, Paris in 2013. He is currently at work on a new play about President Teddy Roosevelt for Arena Stage and on the film adaptation of The Originalist. has been performing throughout Alaska, Canada and the Pacific Northwest since the mid-70s. He co-founded the Alaska Folk Festival and Juneau Jazz and Classics, which are annual weeklong festivals in their 43rd and 30th years, respectively. He began composition work with the 1991 Perseverance Theatre production The Collected Works of Billy the Kid, directed by Molly Smith, and has since scored over a dozen theater productions, an opera and numerous independent TV shows and films. Recent works include The Little Prince directed by Katie Jensen, Metamorphoses directed by Dave Hunsaker and the opera Hansel and Gretel directed by Henning Hegland. Bob lives in Juneau, Alaska with his wife Laura Lucas and dog Jasmine. has served as Artistic Director since 1998. Her more than 30 directing credits at Arena Stage include The Originalist, Fiddler on the Roof, Camp David, Carousel, Mother Courage and Her Children, Oklahoma!, A Moon for the Misbegotten, My Fair Lady, The Great White Hope, The Music Man, Legacy of Light, The Women of Brewster Place, Cabaret, South Pacific, All My Sons and How I Learned to Drive. Her directorial work has also been seen at Canada’s Shaw Festival, Pasadena Playhouse, The Old Globe, Asolo Repertory, Berkeley Repertory, Trinity Repertory, Toronto’s Tarragon Theatre, Montreal’s Centaur Theatre and Perseverance Theater in Juneau, Alaska, which she founded and ran from 1979-1998. Molly has been a leader in new play development for over 30 years. She is a great believer in first, second and third productions of new work and has championed projects including Dear Evan Hansen; Next to Normal; Passion Play, a cycle; and How I Learned to Drive. She has worked alongside playwrights Sarah Ruhl, Paula Vogel, Wendy Wasserstein, Lawrence Wright, Karen Zacarías, John Murrell, Eric Coble, Charles Randolph-Wright and many others. She led the re-invention of Arena Stage, focusing on the architecture and creation of the Mead Center for American Theater and positioning Arena Stage as a national center for American artists. During her time with the company, Arena Stage has workshopped more than 100 productions, produced 39 world premieres, staged numerous second and third productions and been an important part of nurturing nine projects that went on to have a life on Broadway. In 2014, Molly made her Broadway debut directing The Velocity of Autumn, following its critically acclaimed run at Arena Stage. She was awarded honorary doctorates from American University and Towson University. This summer, she will direct The Originalist Off-Broadway at 59E59 Theaters. has written orchestrations and arrangements for everyone from Chita Rivera, the New York Pops and Raul Esparza to Tony Award winner/Bon Jovi member David Bryan and the Radio City Christmas Spectacular. On Broadway, she was music supervisor/arranger/orchestrator for Allegiance, music director/arranger for Cry-Baby, and resident music supervisor for the Tony Award-winning revival of Company. She was music director/arranger for the Off-Broadway hit Altar Boyz, for which she received a Drama Desk nomination for orchestrations. Lynne received a second Drama Desk nomination for The Extraordinary Ordinary (by Paul Loesel and Scott Burkell). She recently orchestrated the critically acclaimed premiere of Life After in Toronto. As a composer, credits include bare: The Musical and Postcard American Town. returns to Arena Stage after serving as Associate Music Director on Carousel. His music and lyrics were performed Off-Broadway in Caps for Sale (New Victory Theater; National Tour). D.C.-area credits as music director include Me…Jane (Kennedy Center TYA), Floyd Collins (1st Stage), Ordinary Days (Round House), Jesus Christ Superstar and The Last Five Years (Signature Theatre, Helen Hayes nomination for music direction). His orchestrations include Man of La Mancha (Shakespeare Theatre Company) and Alexander and the Terrible…, and Miss Nelson is Missing! (Adventure Theatre MTC). William has served as associate conductor for Caroline, or Change(Round House) and A Little Night Music and West Side Story (Signature Theater). Education: Carnegie Mellon University. is honored to be back at Arena Stage where he previously worked on The Music Man, South Pacific and Sunday in the Park with George. Earlier this season, he served as the music director for the acclaimed production of Lookingglass Alice at Baltimore Center Stage. On Broadway, he has been in the pits of Lestat and A Chorus Line. Other D.C.-area credits include productions at The Kennedy Center, Ford’s Theatre and Signature Theatre. Jose is a proud graduate of Virginia Commonwealth University, and has been the pianist for both the Unified Professional Theatre Auditions and the Southeastern Theatre Conference for over 20 years. Twitter and IG: @JoseSPiano. Many thanks to Molly and Georgia for this opportunity, and to George for that “first” opportunity. For DAS. Broadway credits, August Osage County (Tony Award), The Motherf**cker with the Hat (Tony nomination), Who’s Afraid of Virginia Woolf?, Of Mice and Men (filmed by National Theatre Live), This is Our Youth and Fish in the Dark, and the upcoming Straight White Men. Off-Broadway credits, Red Light Winter (Barrow Street), Domesticated (Lincoln Center) and Qualms (Playwrights Horizons). Designer for six years for Big Apple Circus. International credits, August Osage County (London & Australia), The Beauty Queen of Leenane (Ireland), Nice Fish and Downstate (London). Regional credits, Arena Stage, Steppenwolf (28 productions), Goodman (artistic partner), Guthrie, Berkeley Repertory and others. Museum exhibitions include “Mythbusters: The Explosive Exhibition” and “The International Exhibition of Sherlock Holmes.” Awards include Olivier, Helen Hayes, Ovation, Garland, Joseph Jefferson, Bay Area Critics Circle and Michael Merritt. Professor, Northwestern University. Graduate, Yale Drama. is the costume director at Arena Stage, where he has worked for 17 seasons in various capacities on over 100 productions. He most recently designed costumes for Molly Smith’s Mother Courage and Her Children and the world premiere of The Originalist. He held internships with Williamstown Theatre Festival and Actors Theatre of Louisville. Joe studied at the University of Dayton. For Karen and Marjan. 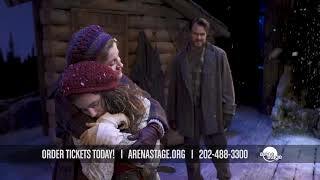 is thrilled to be part of the creative team for Snow Child and to be making her Arena Stage debut. She is a Toronto-based lighting designer in theater, opera and dance. Kimberly first collaborated with Molly Smith at the Shaw Festival on Our Town. Recent credits include Mamma Mia (Citadel Theatre); The Humans(Theatre Calgary); Life After and Declarations (Canadian Stage Company); Madness of King George and Androcles and the Lion (Shaw Festival); Timon of Athens, The Virgin Trial and The Madwoman of Chaillot (Stratford Festival); The Barber of Seville (Pacific Opera Victoria). She designed the Canadian tour of Life Reflected (National Arts Centre Orchestra) and the North American tour for Emily Haines & the Soft Skeleton. Kimberly received the Pauline McGibbon Award, three Dora Mavor Moore Awards and a Montreal English Theatre Award. is a New York-based projection designer and media consultant. Select credits include Broadway’s Chinglish (Longacre), and Off-Broadway/New York with The Public Theater and Abrons Art Center. Regional credits include The Guthrie, Oregon Shakespeare Festival, South Coast Repertory, Seattle Repertory, Berkeley Repertory, Trinity Repertory, Pittsburgh Public, Flat Rock Playhouse, North Shore Music Theatre and Virginia Stage Company. Opera credits include New York City Opera and Center for Contemporary Opera. Tours/commercial work includes An Evening with Pacino (US/international), numerous US commercial entertainment tours, Chinglish (HK Arts Festival) and numerous Las Vegas shows/concerts. works with puppets as a designer, director and performer. Favorite credits include Peter & Wendy (Arena Stage); Compulsion (The Public); ImaginOcean (national tour); The Very Hungry Caterpillar Show(Sydney Festival, New York, West End); The Soldier’s Tale and Four Seasons in Buenos Dairies (Orchestra of St. Luke’s); and the many many creatures of the San Diego Zoo Centennial Celebration. She’s a proud co-founder of the Puppet Kitchen (www.puppetkitchen.com) and is thrilled that puppets are finally hip. returns to Arena Stage after working on Sovereignty and A Raisin in the Sun. Regional credits include A Streetcar Named Desire, Wait Until Dark, Great Expectations, Deathtrap and Ruined (Everyman Theater, resident company member); Nabucco and Don Giovanni (Washington National Opera); and A Skull in Cinemas, Snow Falling on Cedars and Bus Stop(Baltimore Center Stage). Lewis is the owner/operator of Vulcan’s Forge, and has made weapons and action props for many regional and Broadway productions, as well as The Vampire Diaries, Gotham, Daredevil, Iron Fist and the upcoming Defenders. is currently Theatre Adviser to the Arts Council of Ireland and Dramaturg at American Voices New Play Institute at Arena Stage in Washington, D.C. He has taught dramaturgy at the John F. Kennedy Center for the Performing Arts, Columbia University and Trinity College Dublin. He was the Commissioning and Literary Manager of the Abbey Theatre for four years, and lead theater critic with The Sunday Tribune for nine years. He is an associate artist with The Civilians and Theatre Mitu in New York. He has written six plays for Anne Bogart and the SITI Company — Bob, Alice’s Adventures Underground, Room, Score, Antigone and Trojan Women (After Euripides) – and Chess Game No. 5, his new collaboration with the company, premiered in New York in March. is in her 14th season at Arena Stage. She directed the world premiere of Our War and served as associate director on several productions, including Sovereignty, Carousel, Oliver! and Oklahoma. Anita trained and taught at American Conservatory Theatre in San Francisco, was on the faculty at Webster University in St. Louis, headed the theater department at the University of Alaska Southeast and was the associate artistic director of Perseverance Theatre in Juneau, Alaska. The Alaska Native-inspired production of Macbeth that Anita conceived and directed was performed in English and Tlingit at the National Museum of the American Indian in D.C. Through Arena Stage’s devised theater program, Voices of Now, Anita has collaborated on creating and directing original plays with communities in India and Croatia. previous Arena Stage credits include Sovereignty, The Price, Intelligence, Carousel, Destiny of Desire and Our War. Other D.C.-area credits include My Fair Lady, The Diary of Anne Frank, Bakersfield Mist, Godspell and A Christmas Carol (Olney Theatre Center); The Jungle Book, Jack and Phil, Slayers of Giants-INC, A Year with Frog and Toad and Sinbad: The Untold Tale (Imagination Stage); and Just the Two of Each of Us, Appropriate, Detroit and The Elaborate Entrance of Chad Deity (Woolly Mammoth). "Perfect Snow" from "Snow Child"
"The Things That Are True" from "Snow Child"
(L to R) Dan Manning (George), Natalie Toro (Esther), Christiane Noll (Mabel) and Matt Bogart (Jack) in Snow Child, running April 13-May 20, 2018 at Arena Stage at the Mead Center for American Theater. Photo by Maria Baranova. (L to R) David Landstrom (Ensemble/Plow Horse/Swan), Calvin McCullough (Ensemble/Plow Horse), Christiane Noll (Mabel) and Alex Alferov (Garrett) in Snow Child, running April 13-May 20, 2018 at Arena Stage at the Mead Center for American Theater. Photo by Maria Baranova. (L to R) Dan Manning (George), Alex Alferov (Garrett), Natalie Toro (Esther), Christiane Noll (Mabel) and Matt Bogart (Jack) in Snow Child, running April 13-May 20, 2018 at Arena Stage at the Mead Center for American Theater. Photo by Maria Baranova. Fina Strazza (Faina) in Snow Child, running April 13-May 20, 2018 at Arena Stage at the Mead Center for American Theater. Photo by Maria Baranova. (L to R) Matt Bogart (Jack), Fina Strazza (Faina) and Dorothy James (Ensemble/Fox) in Snow Child, running April 13-May 20, 2018 at Arena Stage at the Mead Center for American Theater. Photo by Maria Baranova. Watch On WUSA9 External link.